A Manchester hospital has dropped proposals to close a Catholic chapel in order to convert it into a Muslim prayer room after a campaign spearheaded by a local Catholic priest. 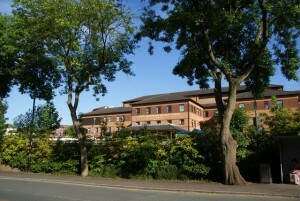 While the plan was one of several options being considered by bosses at North Manchester General Hospital, the potential closure caused a furious reaction. Father Ged Murphy, of St Patrick’s and St Malachy’s parish in Collyhurst, started an online petition which gathered 1,000 signatures in just over 24-hours. It wasn’t just Catholics who spoke against the proposal either, some local Muslim residents also spoke up against the closure. You can read more about the situation via the Daily Mail and the Manchester Evening News sites.